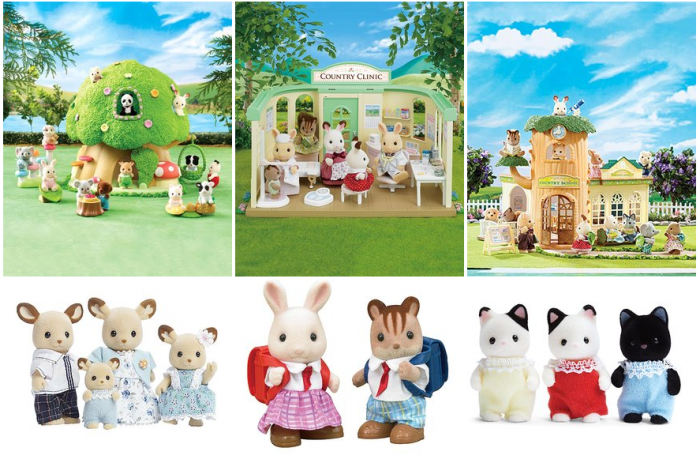 We love Calico Critters! They make perfect Christmas gifts! They’re sort of soft and velvety and their little clothes and accessories are SO cute! This sale is AWESOME! There are some prices WAY lower than anywhere else! The Country Tree School Play Set is down to $43.99 (reg $59.95)! You can get the hard-to-find Calico Critters Country Doctor Playset for just $37.99 (reg $59.99)! Plus there are great prices on the figures and accessories! Prices start at $7.49 (like the Hopscotch Rabbit Twins). Plus, after you place an order from this sale, anything else you purchase from zulily for the rest of the day will also SHIP for FREE! How cool is that?